Dorothy Day, founder of the Catholic Worker movement, activist for peace and justice, and faithful woman of prayer, had a great respect and veneration for the saints, not as superior or perfect people, but as companions and guides for daily living. And in her own way, she has become just such a saintly companion for many who know and love her work, myself included. Born in Brooklyn in 1897, Day grew up to engage in radical struggles for woman suffrage, pacifism, union rights, and similar causes of the time. Even as she continued her concern for social justice and peace, she gradually came to reject the materialism and secularism of her early political companions. It was after the birth of her beloved daughter, Tamar, in the late 1920s that she shocked her friends by converting to Catholicism, a decision that changed her life forever. Day’s new life was a model of spirituality, with hours devoted to prayer, Scripture reading, and daily mass, practices she continued throughout her life. Her deeply spiritual life may have enhanced her earnest concern for social justice, for she saw these issues as part of her gospel calling just as much as her religious practice. In 1932, with Peter Maurin, Dorothy started what they intended to be just a newspaper to highlight Catholic teachings about problems of poverty and injustice. The paper, which sold for a penny a copy, was called The Catholic Worker. Within a few years, this initial start had grown into a national movement, centered around the establishment of “hospitality” houses, where the unemployed, the hungry, the homeless, the immigrant, and the dispossessed could come for a meal, for assistance, or for a place to stay. Dorothy Day lived in voluntary simplicity in some of these houses, in company with her co-workers and those she served. She died at Maryhouse in New York City in 1980. 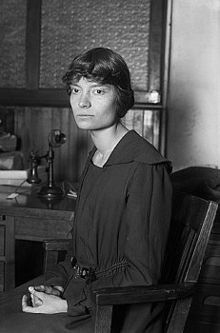 It was this combination of a deep spiritual life with an active life of both personal service to the “least ones” and social activism for larger causes that first attracted me to Dorothy Day. Her life story in some ways mirrored my own, as I had come of age during the social movements of the 1960s and early 1970s. Like Day, I came to believe that something was missing from the more secular movements of the time. I realized that the activists I most admired, those who seemed to act with compassion and who persevered in the face of resistance, were those motivated by their faith. It was through some of these Civil Rights leaders and peace activists that I discovered Dorothy Day. Her example helped to lead me to a more mature and active faith than the one I had rejected at an earlier age. With Dorothy, I came to believe that to follow Jesus of Nazareth is both to have an active spiritual life and to work to promote the reign of God in our everyday living. One of the most important lessons I learned from Day had to do with her notion of hospitality, including the importance of seeing Christ in every person, as she would say–especially those we might initially want to avoid. Dorothy helps us to understand the biblical truth that every person, no matter how damaged by life’s events and circumstances, bears the image of God, and as such should be treated with dignity and love. She reminds me to be more intentional in reserving judgment and in reaching out to those whose appearance at first might seem discomfiting to me. Dorothy Day has been given the title of “Servant of God” by the Vatican, and proceedings are under way for her possible canonization as an official saint. But it is her example of living a life of practical love and compassion, supported by her active devotion to God, that has meant the most to me. She always said that even the smallest act of love has its impact, more than we often realize ― like a pebble cast into a pond, its waves spread out to a large and larger circle, so that we are unaware of its ultimate effect. And so, Dorothy Day is already a saint for me, a saint for all of us, a saint for our time. Barbara Finlay (MA, MDiv, PhD) is Music Director at St. Paul’s Episcopal Church in Brady. She is Professor Emeritae of Sociology from Texas A&M University. Reach her at barbfn45@yahoo.com.